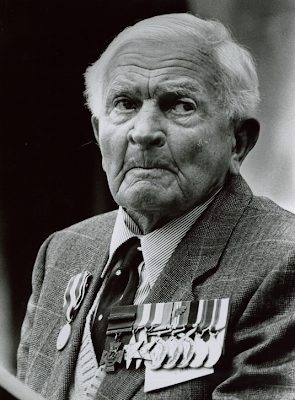 Yesterday's Person-of-Mystery was Charles Upham, the most highly decorated Commonwealth soldier from World War II. Michael was certainly on the right track yesterday and I'm actually suspicious that Brett may have known who it was and didn't guess. You all are far too modest. Rugby is still on my mind and the Rugby World Cup is currently underway in New Zealand, so continuing the theme from last week, I decided to feature a war hero from New Zealand. Charles Upham is one of only three men in history to twice win the Victoria Cross (akin to our Medal of Honor) and the only combat infantryman to be so honored. Second-Lieutenant Charles Hazlitt Upham (8077), New Zealand Military Forces. 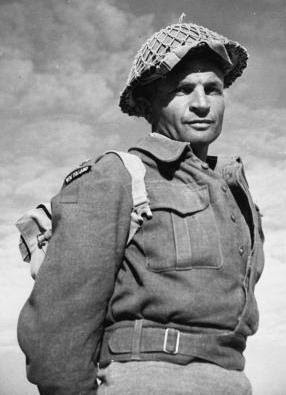 During the operations in Crete this officer performed a series of remarkable exploits, showing outstanding leadership, tactical skill and utter indifference to danger. sections were temporarily held up. was able to " mopup " with ease. Another of his sections was then held up by two machine guns in a house. He went in and placed a grenade through a window, destroying the crew of one machine gun and several others, the other machine gun being silenced by the fire of his sections. When his Company withdrew from MALEME he helped to carry a wounded man out under fire, and together with another officer rallied more men together to carry other wounded men out. He was then sent to bring in a company which had become isolated. 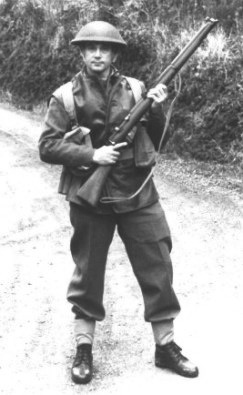 With a Corporal he went through enemy territory over 600 yards, killing two Germans on the way, found the company, and brought it back to the Battalion's new position. But for this action it would have been completely cut off. During the following two days his platoon occupied an exposed position on forward slopes and was continuously under fire. Second Lieutenant Upham was blown over by one mortar shell, and painfully wounded by a piece of shrapnel behind the left shoulder, by another. He disregarded this wound and remained on duty. He also re- ceived a bullet in the foot which he later removed in Egypt. forced the remainder to fall back. When his platoon was ordered to retire he sent it back under the platoon Serjeant and he went back to warn other troops that they were being cut off. When he came out him- self he was fired on by two Germans. He fell and shammed dead, then crawled into a position and having the use of only one arm rested his rifle in the fork of a tree and as the Germans came forward he killed them both. The second to fall actually hit the muzzleof the rifle as he fell. On 30th May at SPHAKIA his platoon was ordered to deal with a party of the enemy which had advanced down a ravine to near Force Headquarters. Though in an exhausted condition he climbed the steep hill to the west of the ravine, placed his men in positions on the slope overlooking the ravine and himself went to the top with a Bren Gun and two riflemen. By clever tactics he induced the enemy party to expose itself and then at a range of 500 yards shot 22 and caused the remainder to disperse in panic. During the whole of the operations he suffered from dysentery and was able to eat very little, in addition to being wounded and bruised. He showed superb coolness, great skill and dash and complete disregard of danger. His conduct and leadership inspired his whole platoon to fight magnificently throughout, and in fact was an inspiration to the Battalion. 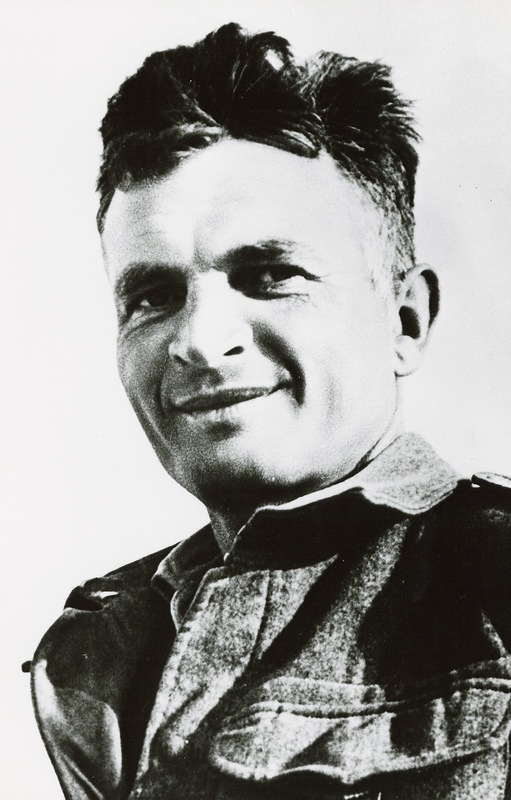 After being patched up and having a bullet removed from his foot in Egypt, his unit was again facing the Germans in North Africa the next year. 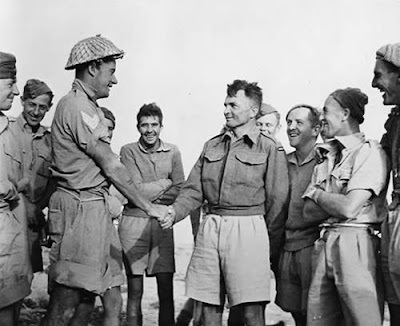 Specifically he preformed courageously during fighting at First El Alamein, July 14-15, 1942 (citation to follow). After performing near superhuman feats and recovering from wounds received by artillery and mortar attack, he eventually was captured by the Germans. Although it was immediately thought he should be awarded a second Victoria Cross, it was determined that the matter would be revisited after his eventual release. In 1945, when the review process was complete, King George VI queried military officials if a second Victoria Cross was deserved. Major General Howard Kippenberger is said to have replied, "In my respectful opinion, Sir, Upham won the Victoria Cross several times over." Captain C. H. Upham, V.C.,. was commanding a Company of New Zealand troops in the Western Desert during the operations which culminated in the attack on El Ruweisat Ridge on the night of I4th-15th July, 1942. In spite of being twice wounded, once when crossing open ground swept by enemy fire to inspect his forward sections guarding our mine-fields and again when he completely destroyed an entire truck load of German soldiers with hand grenades, Captain Upham insisted on remaining with his men to take part in the final assault. up an officer to report on the progress of the attack, he went out himself armed with a Spandau gun and, after several sharp encounters with enemy machine gun posts, succeeded in bringing back the required information. Just before dawn the reserve battalion was ordered forward, but, when it had almost reached its objective, very heavy fire was encountered from a strongly defended enemy locality, consisting of four machine gun posts and a number of tanks. Captain Upham, without hesitation, at once led his Company in a determined attack on the two nearest strongpoints on the left flank of the sector. His voice could be heard above the din of battle cheering on his men and, in spite of the fierce resistance of the enemy and the heavy casualties on both sides, the objective was captured. Captain Upham, during the engagement, himself destroyed a German tank and several guns and vehicles with grenades and although he was shot through the elbow by a machine gun bullet and had his arm broken, he went on again to a forward position and brought back some of his men who had become isolated. He continued to dominate the situation until his men had beaten off a violent enemy counterattack and consolidated the vital position which they had won under his inspiring leadership. Exhausted by pain from his wound and weak from loss of blood Captain Upham was then removed to the Regimental Aid Post but immediately his wound had been dressed he returned to his men, remaining with them all day long under heavy enemy artillery and mortar fire, until he was again severely wounded and being now unable to move fell into the hands of the enemy when, his gallant Company having been reduced to only six survivors, his position was finally over-run by superior enemy forces, in spite of the out standing gallantry and magnificent leadership shown by Captain Upham. The Victoria Cross was conferred on Captain Upham for conspicuous bravery during the operations in Crete in May, 1941, and the award was announced in the London Gazette dated I4th October, 1941. After his capture, Upham attempted numerous escapes from captivity, jumping from transport trucks and trains and attempting to scale prison fences. He was eventually placed in solitary confinement and given two armed guards, but still attempted escape. Finally, he was sent to the infamous Colditz Castle in late 1944. Immediately after Upham was liberated, he broke into the German armory at the prison and pursued the now fleeing enemy on his own. He was eventually returned to England, where he was reunited with his sweetheart and married. They returned to New Zealand where people had raised £10,000 for a farm. He instead donated the money to help children of other soldiers attend college. 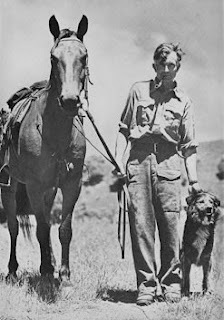 Upham eventually bought a farm on his own and lived out most of the rest of his days in quiet seclusion is a rural area in the Canterbury Region of New Zealand's South Island. It was said that he would never allow a German automobile on his property. Well the reason I didn't let on was because I actually cheated a little, so didn't think it was fair to claim victory. 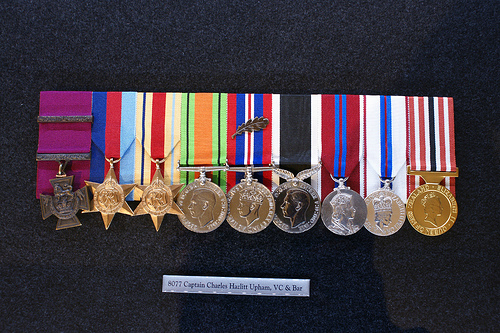 However, I was well aware of Upham and the medals. What you didn't mention was that a couple of years ago the medals were the centre of a huge furore. First the descendants of Charles Upham put them on the market in 2006, and there was some debate about whether they should be permitted to leave New Zealand. Anyway, the Army Museum at Waioru ended up with them on permanent loan from the Imperial War Museum. Then in 2007 they, along with many other valuable medals, were stolen from the Waioru Museum. Although they were eventually recovered after some negotiation, it was a huge news item for several months, as you can imagine. More recently, there has been another outrage at the arrest of a former employee of the museum who stole thousands of medals and sold them on eBay! Not a good look. Thanks for another interesting lesson, Nate. I read about all that craziness. Seems to me that the medals were awarded to him. During his life he was offered plenty of money if he would leave them to the a buyer in his will, but he chose to leave them to his daughters knowing full well that they might choose to sell them. Thefts from museums really bother me though. Wooh, those New-Zeelanders are tough! Without these men we wouldn't live in a free and open society nowadays. When I was young I had an English neighbour, he fought his way from Sicily to Holland during WWII. I like the fact that he pursued his captors as soon as he was liberated from Colditz prison.